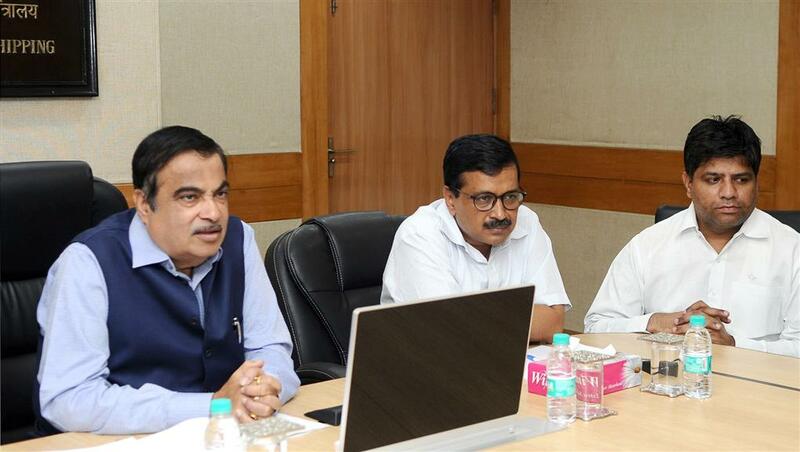 Gadkari, with Kajriwal, at the review meeting on 24 May 2018. 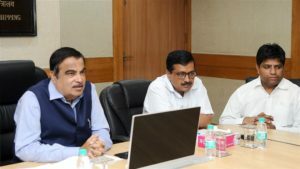 Minister for Water Resources, River Development & Ganga Rejuvenation Nitin Gadkari instructed senior Delhi Jal Board (DJB) officials to speed up all the projects of Phase three of Yamuna Action Plan (YAP-III). National Mission for Clean Ganga (NMCG) has approved eight packages in YAP-III at estimated cost of Rs.1,656 crores. These include four projects in Kondli (K1, K2, K3 and K4), three projects in Rithala (R1a, R1b and R2) and construction of 564 MLD STP in Okhla, Kondli and Rithala as well as rehabilitation of Trunk Sewer and Rising Main. 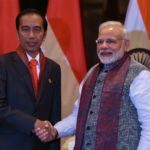 The contracts of four packages i.e. K1, K2, R1a and R2 have been awarded; tenders are under finalisation for three packages i.e. K3, K4 and R1b while bid is to be received for Okhla STP. 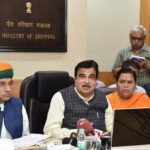 Gadkari made the call following a review meeting held 24 May 2018 in New Delhi. 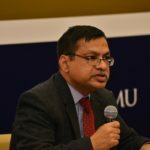 The minister stressed that all formalities like sight survey, tender process, topo graphical survey, land acquisition must be completed before awarding contracts. He assured of the central government full support but insisted DJB will have to speed up the process. He also reviewed construction of 318 MLD (70 MGD) STP at Coronation Pillar and Interception Sewer Project. Likely time of completion of STP at Coronation Pillar is September 2019 while most of work in interception sewer project will be complete by December 2018.